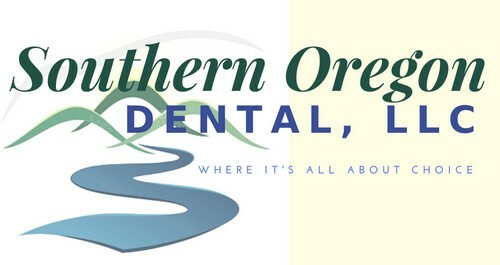 At Southern Oregon Dental, we put your needs first. 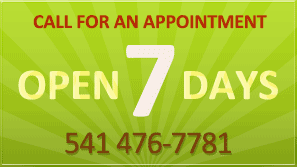 That is why we are open seven days a week in our Grants Pass dental office and six days a week at our Central Point location. Both offices offer full service dentistry for you and your family all under one roof. We know you are busy. With Saturday and Sunday appointment times available, as well as all week long, you can make your dentist appointment fit your schedule. Visit the dentist without missing work knowing you are always our first priority. Have a dental emergency? Southern Oregon Dental has a dentist “On Call”, after office hours, for dental emergencies. No answering machine. You will reach a live operator who will immediately contact our on-call dentist to help you when you need it most. Our dentists are trained to provide comprehensive dental care including preventive and continuing care, restorative care, and cosmetic dental care. Our patients appreciate the convenience of having their all dental needs taken care of under one roof. Southern Oregon Dental will work with you to make payment arrangements best suited to your needs. We will help you maximize your dental insurance benefits. We also offer flexible payment options available through Care Credit or Chase Health Advance to make treatment more affordable. 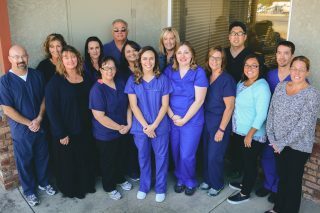 Whether you choose our dental office in Grants Pass or our Central Point office, we hope you will make Southern Oregon Dental your choice for dental care for you and your family.